discuss the characteristics of legit multi-level marketing companies (there is such a thing). Obviously, I will try to be as objective as possible. For full disclosure, I am an Independent Brand Partner with Nerium International™. However, the decision to join was not one I made lightly. Considering myself of moderate intelligence it simply baffles me how so many people continue to spew negativity towards this type of business structure. The key phrases here are solely recruiting and the promise to get rich quick. Remember these when you are continuing on this journey with me of getting to the bottom of why people hate MLM’s. The following is each warning that the SEC explains for consumers to be wary of when considering a MLM, and these will be the seven areas this series will be focused on. No genuine product or service. MLM programs involve selling a genuine product or service to people who are not in the program. Exercise caution if there is no underlying product or service being sold to others, or if what is being sold is speculative or appears inappropriately priced. Promises of high returns in a short time period. Be leery of pitches for exponential returns and “get rich quick” claims. High returns and fast cash in an MLM program may suggest that commissions are being paid out of money from new recruits rather than revenue generated by product sales. Easy money or passive income. 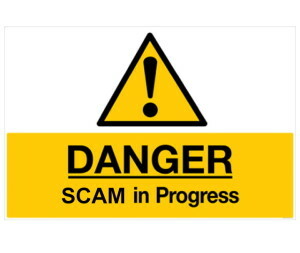 Be wary if you are offered compensation in exchange for little work such as making payments, recruiting others, and placing advertisements. No demonstrated revenue from retail sales. Ask to see documents, such as financial statements audited by a certified public accountant (CPA), showing that the MLM company generates revenue from selling its products or services to people outside the program. Buy-in required. The goal of an MLM program is to sell products. Be careful if you are required to pay a buy-in to participate in the program, even if the buy-in is a nominal one-time or recurring fee (g., $10 or $10/month). Complex commission structure. Be concerned unless commissions are based on products or services that you or your recruits sell to people outside the program. If you do not understand how you will be compensated, be cautious. Please click on the links above to see a more in-depth look at each bullet in regards to Nerium International™. The series will be posted throughout the remainder of this week and next.